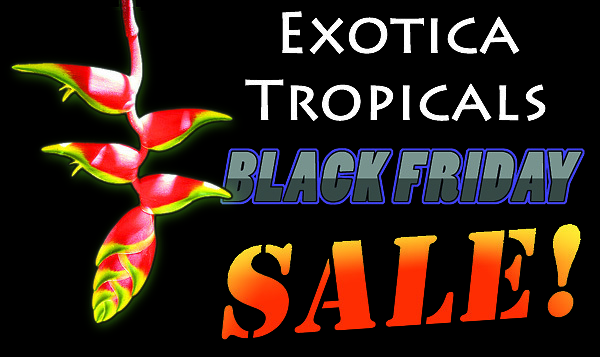 Exotica Tropicals will be having a Black Friday Sale on Friday and Saturday THIS WEEK November 28 & 29th. EVERYTHING IN THE NURSERY WILL BE 20% OFF! Come on by and get something on SALE!